The youth icon shows how to do Shaadi ka Kharcha Aadha Aadha and why parents of Indian grooms should share wedding expenses equally. Indian star cricketer Virat Kohli's latest Manyavar commercial has won a million hearts! The wedding season is just around the corner, and with lavish, large-scale destination weddings rising in popularity, each wedding today seems to be no less than a 'Big, Fat Indian Wedding' with no expenses spared. 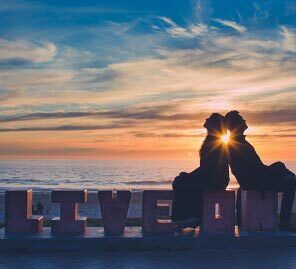 Couples have begun to take two approaches to their weddings these days - either they trim their expenses smartly or go all out to celebrate the once-in-a-lifetime event in a larger-than-life way. There is nothing inherently wrong in either of the approach as long as families can afford it. However, one existing practice in Indian society is the reality that the bride's family is expected to foot a major part of the wedding expenses due to age-old societal expectations, adding substantial burden on her loved ones. The Manyavar commercial is a timely and well-executed idea that questions this age-old Indian concept of the wedding functions being financed by the bride’s family. 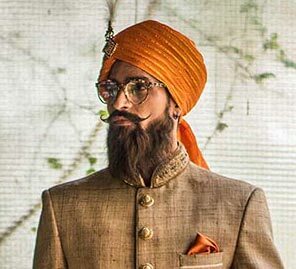 The advertisement starring Virat Kohli as a dapper groom dressed in a peach kurta with a pastel green bandhgala. Virat begins with how he and his parents expect his wedding to be superbly lavish and should include elements such as professional wedding performers and a grand multi-cuisine food spread. However, he ends the conversation with stating that a wedding is a union of not just two people, but a union of two families, and when two individuals are ready to share their happiness and sorrows equally for their entire lives together, why can't the families share the wedding cost equally too? Enjoy his performance on the link below, as well as the important message, which is very timely given the current wedding season. A role model for the Indian youth, Virat Kohli is the perfect fit for what Manyavar as a brand is trying to convey. 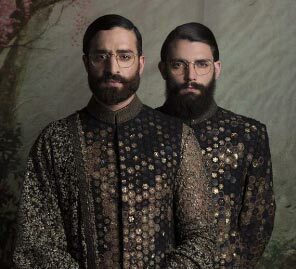 Manyavar conveys that ethnic wear can give you a distinct modern identity. A wedding is a milestone in one’s life and should be done in style; however, the expenses should be shared between both families in fairness and out of a 'respect earns respect' philosophy, which is the idea that every viewer will imbibe once the commercial ends.